As a counselor for both in-class and online alcohol classes this started with a dare from one of my students. It was to create a month’s worth of blogs on celebrities getting into trouble for alcohol-related incidents. We now find ourselves reading the 12th installment of celebrities whose drinking got them into trouble. 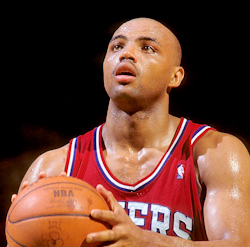 Charles Barkley – best known as “The Round Mound of Rebound” the Hall of Fame NBA star has had a number of alcohol-related incidents. Most notably was his 2008 arrest for Dui in Scottsdale, Arizona. He long touted that athletes should not be role models and certainly chose to comport himself in a manner not suited for children to witness. From the State of Alabama he has also shown an interest in politics and threatened on more than one occasion that he might be the nice governor of Alabama. Would you want him running your state? I would take Arnold Schwarzenegger any day. Jeffrey Donovan – How drunk was the star of Burn Notice? How about he came inches from running a red light and rear-ending the police car sitting there. He claims he only had three drinks, but his erratic driving and high BAC 0.15 would indicate otherwise. Barkley has made a number of attempts to get sober and I think as he ages and continues to mature he will succeed. Both should stay in 8 hour alcohol classes and counseling. It is about time that the World Health Organization (WHO) finally has turned its attention to the problems of alcohol use and abuse. It will use its vast reach to help curb a disease that claims millions annually. Men are particularly at risk for alcohol disease. It is the leading risk factor for death in males ages 15–59, mainly due to injuries, violence and cardiovascular diseases. Globally, 6.2% of all male deaths are attributable to alcohol, compared to 1.1% of female deaths. Men also have far greater rates of total burden attributed to alcohol than women – 7.4% for men compared to 1.4% for women. Men outnumber women four to one in weekly episodes of heavy drinking – most probably the reason for their higher death and disability rates. For whatever reason, men also have much lower rates of abstinence compared to women. It has been proven that lower socioeconomic status and educational levels result in a greater risk of alcohol-related death, disease and injury. This holds especially true for men. The world’s highest alcohol consumption levels are found in the developed world, including western and eastern Europe. High-income countries generally have the highest alcohol consumption. It is interesting to note that high income and high consumption always translate into high alcohol-related problems and high-risk drinking. Western European countries have some of the highest consumption rates but their net alcohol-attributable mortality rates are relatively low, though their alcohol-related disease burden may be high. Other locations where the rates of disease and disability attributable to alcohol are also quite high include Mexico and in most South American countries. Alcohol is a serious global problem. As a planet we need to encourage more alcohol education with 12 hour alcohol classes and counseling to get the Earth sober. I wish celebrities did not have as much influence over people as they do. Certainly some are immune to the charms of celebrity. However, many others idolize celebrities and comport themselves as their idols do. This usually is not a very good idea. This is the second in a series of blogs looking at celebrities who have been involved in drinking-related incidents. Randy Travis – While I am not the biggest country fan, I have to admit this guy is really good. I became a fan of his more than 20 years ago when he sang the title track Wicked Game for the Nicholas Cage movie Wild at Heart. Travis was booked for public intoxication in Dallas where police found him intoxicated, still drinking and singing outside a church. Lindsay Lohan – What has Lohan not done? She has been convicted of at least two DUIs, she hijacked a car of young men and took them on a thrill ride while she chased down a car she thought belonged to her manager and she was in a long-term lesbian relationship. At least now she appears to be sober. I hope it lasts. With education proving to be a deterrent in aberrant behavior it would be nice if the music and movie industries promoted a mandatory alcohol class for anyone gaining membership to their respective unions. Prom can be one of the most special and memorable events in a high school student’s life. For those who choose to use drugs or alcohol, it can also be a dangerous time. I would be lying if I told you that drugs and alcohol did not play a role in my prom experience. However, as a recovering drug addict and alcoholic I seek to keep others from making the same mistake I did. As a counselor for both in-class and online minor in possession (MIP) classes I often discuss the role of alcohol and drugs at prom with my students. The number of students who try to chemically alter their prom experience may surprise you. As a parent I often discuss this topic with other parents. The majority seem to think that virtually all teens are trying to get drunk or high at prom. From my experience as a student and a counselor for alcohol classes I can tell you this most certainly is not the case. This article will look at the role played by alcohol and other drugs at prom from my own personal experience and cite statistics from students in my recent MIP classes. I was lucky enough to go to three proms – twice as a high school student and once in college with my high school girlfriend. Of the three proms I attended I only was intoxicated at my senior prom. I was certainly in the minority. I knew of only a handful of students who has smoked pot before getting to prom and nobody spiked the punch or brought booze with them. Of course the after-prom parties were a completely different story. This is where the alcohol and pot are used and abused. This was the problem area 30 years ago and continues to be problematic today. In each of my alcohol awareness classes I make each of my students fill out a questionnaire regarding their drinking and drug use habits. These are submitted to me anonymously and we often have a spirited conversation regarding substance use at prom. Keep in mind that almost every student is in my class has been involved in alcohol or drug-related offense. The data was collected from students over the past two years. Before I reveal my findings think about your perceptions to the following questions. What percent use alcohol? What percent use drugs? How many go to after=prom parties? How many drink or use drugs at these parties? My study showed that only 21% went to the dance after drinking alcohol and 17% used marijuana before attending the dance. Only 6% carried marijuana on them to the dance and 9% brought booze to the prom. The after-prom is a different story. My study found that 84% consumed alcohol at an after-prom party, while 37% smoked marijuana or ate pot brownies. It is interesting that 100% said they had friends who got “totally intoxicated” at an after-prom party and 84% said they saw people using marijuana. Do you see where the problem lies? The prom is not the problem, it is what happens after prom. School administrators need to work closely with the student council and the PTA to help coordinate safe after-prom parties. Alcohol and marijuana are both illegal and dangerous for teens. If you or someone you care about has a drug or alcohol problem, I urge you to seek help immediately. If you prefer to maintain anonymity there are online minor in possession classes and online drug classes too. In this my lastest installment of a blog series highlighting drug-related incidents involving celebrities we look at another group who could benefit from an online alcohol and drug class. Chase Crawford – The star of the Fox hit television show Gossip Girl was arrested for possession of marijuana outside Plano, Texas. Hopefully this is a one-time incident of stupidity for a young man I predict to be a major Hollywood star in the future. The media scrutiny in New York City can be brutal. There is no reason to go and douse fuel onto a media frenzy fire. The New York Knicks NBA franchise has been in turmoil for a number of years. This summer has been no different. Jason Kidd was arrested July 15th and charged with a misdemeanor of driving while intoxicated. After being involved in a single-car accident in which his 2010 Cadillac Escalade struck a telephone pole and went into the woods in the hamlet of Water Mill at around 2 a.m. This according to EPSN. The 39-year-old Kidd suffered minor injuries and was treated at Southampton Hospital. He pleaded not guilty. Kidd is a certain Hall-of-Famer who has spent the better part of 20 years in the NBA. He won an NBA Championship in 2011 as the starting point guard for Mark Cuban’s Dallas Mavericks. If convicted, Kidd could spend up to a year in jail. The Knicks signed Kidd away from the Mavericks in a deal that will pay him about $3 million a year. Kidd had played in New Jersey, leading the Nets to two NBA Finals appearances, before being traded to Dallas and remains fond of the New York City area, where his children continued to live. Kidd is second on the NBA's career list in assists and steals. Kidd will replace Jeremy Lin who signed a 3-year contract with the Houston Rockets. I hope this I the only hitch on the tail-end of what has been a terrific NBA career. Perhaps a DWI class will help Kidd stay on the right side of the law with only positive media attention. Some attorneys feel like they are the law. They act like bullies thinking they can get away with just about anything. Some even think they can drink and drive without fear of reprisal. The following attorney is so bold as to offer a bribe to a police officer to keep himself from a driving under the influence (DUI) violation. Richard Chae, an attorney in Palo Alto, California already had two DUI convictions on his record. Last month he was found guilty of bribery for trying to get out of a drunken-driving arrest by bribing police. This as reported in sfgate.com. The 39-year-old attorney was driving his Lexus about 2:40 a.m. when he was pulled over. Of course the hours of midnight to 5AM are the witching hour and police are on high alert for DUI offenders. How much would you pay to make a DUI go away? The officers suspected Chae was drunk and then offered them the $900 he said he had in his pocket if "this could all go away." The officers declined, so Chae upped the ante, offering $5,000 and then $35,000. It didn't work. Police arrested him on suspicion of bribery and drunken driving. When they searched him, officers found $1,055 in cash and $135 in chips from the Lucky Chances casino. Tests showed that his blood-alcohol level was 0.13 percent. Very stupid behavior from a very intelligent man. Chae attended MIT and Boston University School of Law. Alcohol sure makes people do stupid things. I hope he takes a competent California DUI class and seeks counseling to make an effort at sobriety. The list of celebrities that have drinking problems may be larger than the list that doesn’t. For more than 100 years celebrities have been seen drinking and smoking and living the life. In other words, they have been models of poor behavior. Here are a couple of celebrities whose drinking landed them in hot water. This is the first in a series of blogs on celebrity drinking problems. Amanda Bynes – It pains me to see such a young talent like Amanda give in to the party lifestyle. Anyone who ever watched her on The Amanda Show knows she is very talented. Unfortunately, lately her only talent is for getting drunk and doing stupid things. Photos of a drunken Bynes, 26, stumbling out of nightclubs were surpassed back in April when she was arrested for driving under the influence of alcohol. Danny Veltri – Are you a fan of cooking shows? I am and was a fan of the 26-year-old Hell’s Kitchen star. He too was arrested for DUI after Florida police found him slumped in his car in a gas station. Two more marginal celebrities that have modeled poor behavior and show they have problems with alcohol. I hope they get good alcohol classes and become productive members of society again. The Detroit Lions have long been the doormat of the National Football League. It does not help their great fans that both the city and its players seem to be mired in crime. The Lions have had numerous off-field incidents this offseason and do not appear to be headed in the right direction yet. It's the same old song and dance, but this time a different Lions player, Aaron Berry, is the subject of yet another offseason arrest. This as reported in yahoo sports. The Lions cornerback was arrested over the weekend for suspicion of driving under the influence (DUI) in Pennsylvania. Berry hit cars in the early morning hours in his hometown of Harrisburg, Penn., refusing a breathalyzer test before being taken into custody. It's. Getting. Old. Other recent arrests for the Lions this offseason include former first-round draft pick from the NCAA champion Alabama Crimson Tide Nick Fairley. Mike Leshoure and Johnny Culbreath were arrested on a charge involving marijuana. Leshoure was suspended for two games. Fairley should probably get closer to three or four. Do these guys need babysitters? Do they need to have their hands held at every waking moment? Does someone need to make their decisions for them? Would mandatory Pennsylvania alcohol classes and drug classes make a difference? The young Lions' behavior is comical. Each player arrested or charged with drug possession is in their early 20s. Detroit needs to address this problem, and quickly, before more headlines break. I seriously recommend mandatory alcohol and drug classes. Detroit made its first playoff appearance since 1999 last fall. The Lions are considered a team to contend with in the rough-and-tough NFC-North. It remains to be seen how they'll perform on the field, but a select few have tarnished what others have worked for by misbehaving, defying the law at every turn and failing to act accordingly with team policies and regulations. Study after study has shown that teens suffering from depression and other mental disorders are much more likely to abuse drugs and alcohol. They are much more likely to begin using them and becoming addicted to them in the future. Teens that get treatment for their major depressive disorder (MDD) before they begin abusing drugs are less likely to start. Early treatment and drug education are the best prevention methods. This as reported in dailyrx.com. Recent research has shown that alcohol use disorders are very prevalent during that particular age period and there’s a need for a lot of prevention and education for college students to avoid getting into heavy drinking and then the beginnings of an alcohol disorder. Another interesting find of the study was that when the teenagers got over the depression, about half of them stayed well for the whole five-year period, but almost half of them had a second episode of depression. And they found out that, for those who had both alcohol disorder and another depression, the alcohol disorder almost always came first. Once again I espouse that an ounce of prevention is worth a pound of later trouble. Let’s make MIP classes mandatory and help make sure our teens survive into adulthood addiction-free.